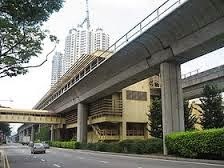 Commonwealth MRT is located at 375, Commonwealth Avenue in Singapore 149735. It is enclosed within the Commonwealth Region. Commonwealth is a subzone of Queenstown District. The area is composed of HDB flats and educational facilities (primary schools and secondary school). Nearest MRT is Commonwealth MRT and the closest Bus interchange is Bukit Merah Bus Interchange. Amenities in the area include Holland Road Shopping Center, Anchorpoint and Queensway Shopping Center. Some of the schools close by are New Town Primary School, CHIJ St. Theresa’s Convent and Anglo Chinese Junior College.